The best part about this card is that it was very easy and quick to make. I first measured and drew straight lines lightly with pencil and ruler. Then went over the lines with memnto markers, leaving gaps to make the pattern. The sentiment is from a Fiskars Thank You set. 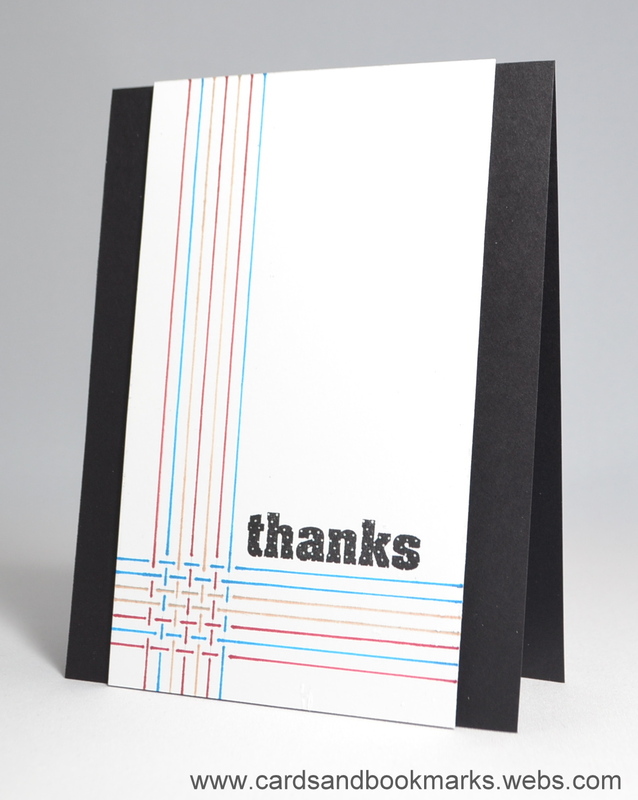 I always need Thank You cards, and I think this would be perfect to give to either a gir or a guy.